Pineapple is a crop native to tropical and subtropical areas of South America and Asia, where it holds a considerable economic importance. This perennial plant is susceptible to a number of fungal diseases, of which Fusariosis and Penicillium sp. are the most severe. 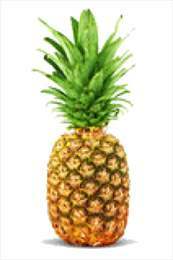 Befresh™ PA and Natasan™ antifungal culture is the most suitable for fungus reduction in pineapple.